The claim of presidential candidate Volodymyr Zelensky concerning 24 POW sailors is not fair to the other Ukrainian prisoners in Kremlin. Representative of the President Iryna Lutsenko responded to Zelensky’s video to Poroshenko, broadcasted by Priamyi TV Channel. “Almost 3,000 prisoners have been released from the captivity of Russia and separatist groups in Luhansk and Donetsk for five years. President Petro Poroshenko raises the question of the hostages' release at every international meeting and any negotiations. The issue with the return of Ukrainian sailors is included to the agenda in all the meeting every day. 3,000 returned POWs proves that the President is dealing with this problem; it is a top priority on all the international meetings. 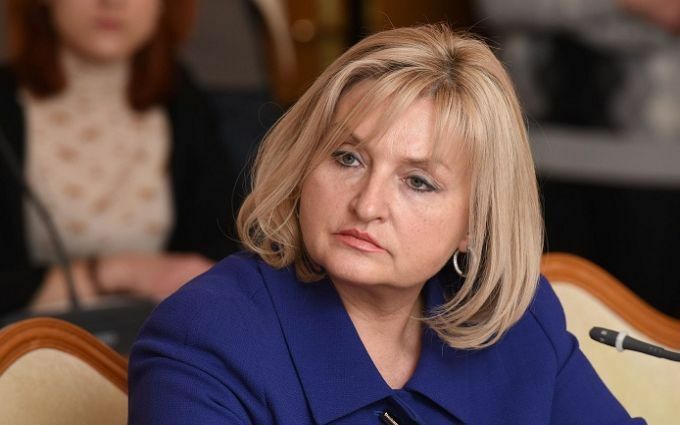 That is why, Zelensky’s claim concerning 24 sailors is at the very least unfair to those 70 Ukrainians, who are still being kept illegally,’ Iryna Lutsenko said. According to the MP, Volodymyr Zelensky has never shown interest to the POWs question, so he does not know the numbers of released hostages and those who are still in captivity in Russian prisons and on the occupied territories. “Zelensky does not understand the situation with the Ukrainian prisoners, how serious international problem it is. He even does not understand the difficulty of the negotiations on returning Ukranian home with the aggressor state,” Representative of the President added.